I thought jerseys have last names (or nothing) on the back of them. However, I recently saw dots on a jersey. When did jerseys get dots on them? What do they represent? It sorta looks like scoreboard dots. I'm pretty sure that's Braille, the writing system for visually impaired people. 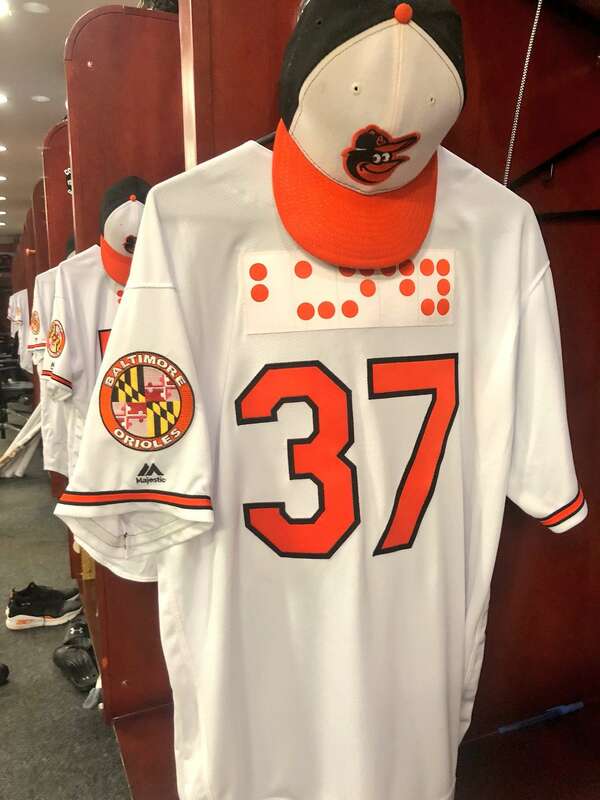 The letters spell B-U-N-D-Y, so it's probably Dylan Bundy, who plays with #37 for the Orioles. Not the answer you're looking for? Browse other questions tagged jersey or ask your own question.